Photo courtesy of Carolyn Glaze. The team of seven joined by NC’s chemistry teacher Ms. Tidrick proudly celebrate their victory in The National History Bee and Bowl. Junior Harrison Glaze and sophomore Chandler Quaile stand proudly displaying their medals and flaunting their triumph. The team awaits the the national tournament in Washington D.C.
On Saturday, December 2, NC’s academic team ventured to Tennessee to compete against five other teams from all over the southeastern United States in the Greater Chattanooga National History Bee and Bowl. Bringing home more awards than in previous years, the team achieved new heights this year and became varsity champions through the hard work of all seven members. 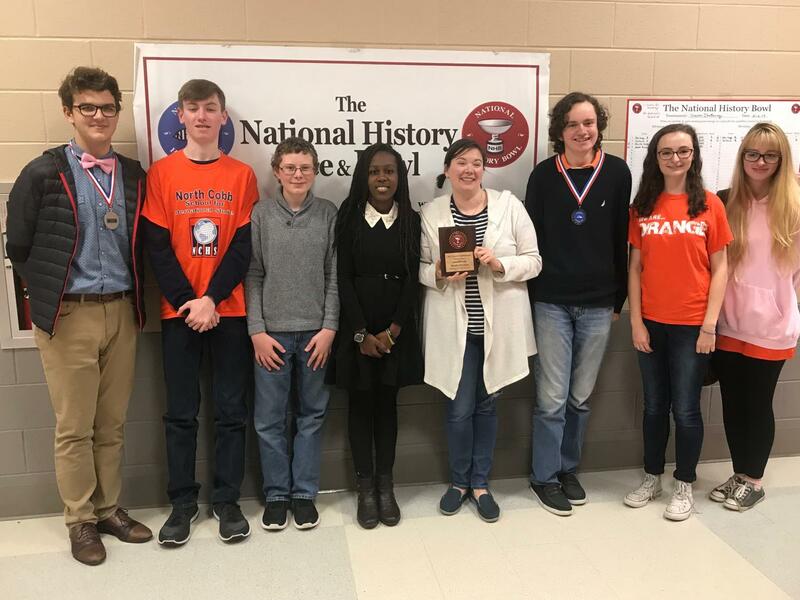 “I feel like the victory at the history bowl provided the team a very important mile marker as we played our most competitive tournament and brought home a trophy to prove our team’s grit and ability,” sophomore Chandler Quaile said. The history bowl challenged the participating students on their history-based knowledge and understanding of American and European history. Similar to a trivia game, contestants buzzed in to relay their answers to the judge who awarded points to the team. “The best way to describe academic team competition is Jeopardy, except it has no categories and you answer with an actual answer, not a question,” junior Harrison Glaze said. The academic team contains veteran members such as Glaze, who joined the academic team in sixth grade at Lost Mountain middle school. Other former members of the Lost Mountain middle school team contributed to the competition by forming a significant part of the high school team. The academic team participation lessened five years ago, but this year the team managed to rally and see the effects of their hard work with the introduction of new dedicated members. The team hopes to make a success of the nationals competition, which will take place in Virginia from April 27 and 29 and continue on their winning streak. “I am excited that I can go to D.C. and compete for a spot on the United States team and show improvement,” Quaile said. “This year we really expanded the team with a lot more freshmen and some people who have never competed before, it’s just a great team, great comradery,” Glaze said. Glaze and Quaile qualified as two members who won awards. Glaze placed first in the history bee for varsity while Quaile won second place for junior varsity in the history bee as well. Both thereby qualified for nationals as individuals. 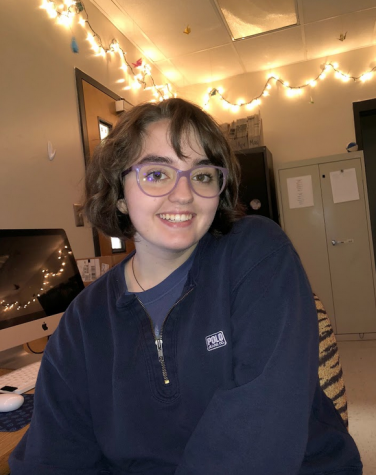 On top of the bowl, Glaze and Quaile also took written tests in history and geography, with Quaile qualifying in geography and Glaze qualifying in both. The written test acted as a qualifier for national events at the same time in Virginia as well as an international competition this coming summer in Berlin. The qualifying members look forward to a full weekend in Virginia next spring for the national history bowl and to show off the brain power of the Warrior nation.